This Cannes prizewinner will intrigue, provoke and disturb in equal measure, writes TOBY WOOLLASTON. “The Square is a sanctuary of trust and caring. Within it we all share equal rights and obligations.” Such is the provocative statement written at the foot of an art exhibition at the centre of Swedish director Ruben Östlund’s film, The Square. It’s a film that drags you into its contemporary art landscape of self-indulgence and self-importance with a tour de force of satirical filmmaking that spits and fizzes with sardonic humour and ethical insight. Stockholm’s newest art exhibition provides a space to observe and participate in its ideals, offering a further tableau of ethical exhibits that focus on human social behaviour. All the while the film deftly shows the exhibition as a shining beacon of hypocrisy through the contrasting behaviour of its creators. Christian, a hapless contemporary art curator played by Claes Bang is one such hypocrite. Idealistic in rhetoric and yet cynical in his actions, he has a likeably earnest nature that belies the ignorance of his own self-importance. The Square follows Christian as he makes a progression of poor choices. His verbal jousting with an American reporter, Anne, played superbly by the ever-reliable Elisabeth Moss, offers some wonderfully crafted scenes of cringe-worthy brilliance. The two serve and volley semantics before giving way to an awkward physical exchange that unsurprisingly leads to Anne, Christian, and the exhibition unravelling. Wonderfully dextrous humour gives way to some probing investigations of human nature as lines are blurred between art and reality. The Square becomes at times almost unbearable to watch with some moments of squirm-inducing boundary pushing. An episode involving a human imitating an ape at a black-tie event is as intriguing as it is disturbing. The film covers a lot of ethical ground about sexual power, stereotypes, middle-class guilt and moral values, but it handles these touchy subjects with the perfect balance of satire, insight and entertainment. Deserved winner of the Palme d’Or at last year’s Cannes Film Festival, Ruben Östlund appears to be at the peak of his powers and has directed a film that is hilarious, fiercely intelligent, and encourages a healthy amount of self-examination. 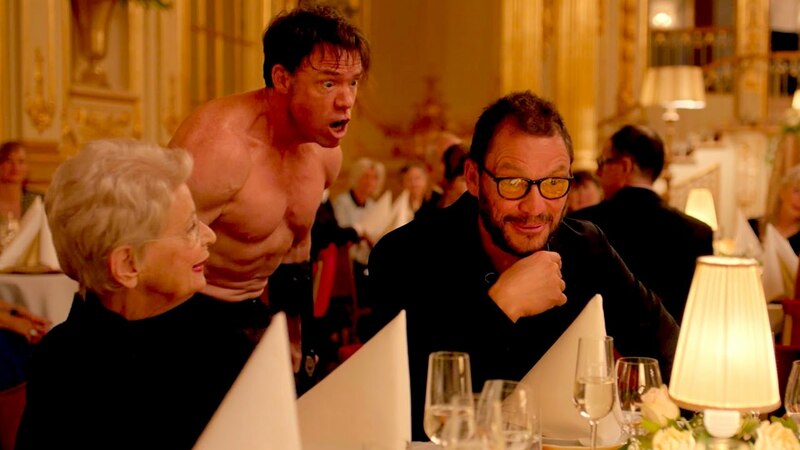 The Square screens at NZ cinemas from Thursday March 8.